It’s peak stone fruit season, so I came home from the farmers market with peaches, nectarines, and plums. The plums were already ripe so I immediately set to work on a tart. I made some delicious sherbet with the peaches and nectarines, as well. But now for the plum tart. I intended to leave a piece of this to photograph in the morning, but it was a little runny and I’ve tweaked the recipe a bit to make it less so. I will hopefully make another one soon and update the post, but until then, here’s the new recipe. It’s loosely based on a tart recipe from Ina Garten, I originally used another recipe for the pastry cream. 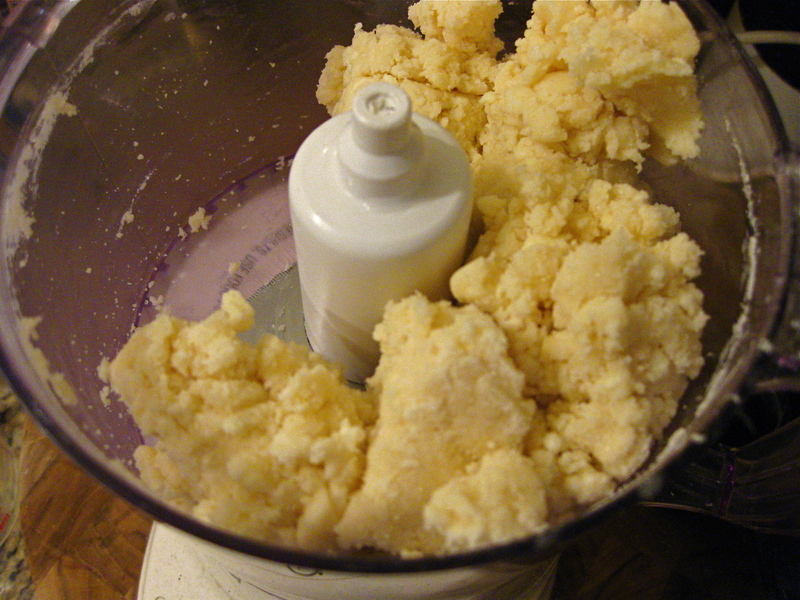 Combine the flour, sugar, and salt in a food processor. Add the butter and shortening and pulse until combined and the pieces are the size of peas. Slowly add the ice water in a drizzle just until it comes together. Turn out on a floured board and wrap in plastic wrap. Refrigerate for at least an hour and up to a day. Beat the egg yolks and sugar together with a hand mixer for a couple minutes until thick. Add the cornstarch and combine. 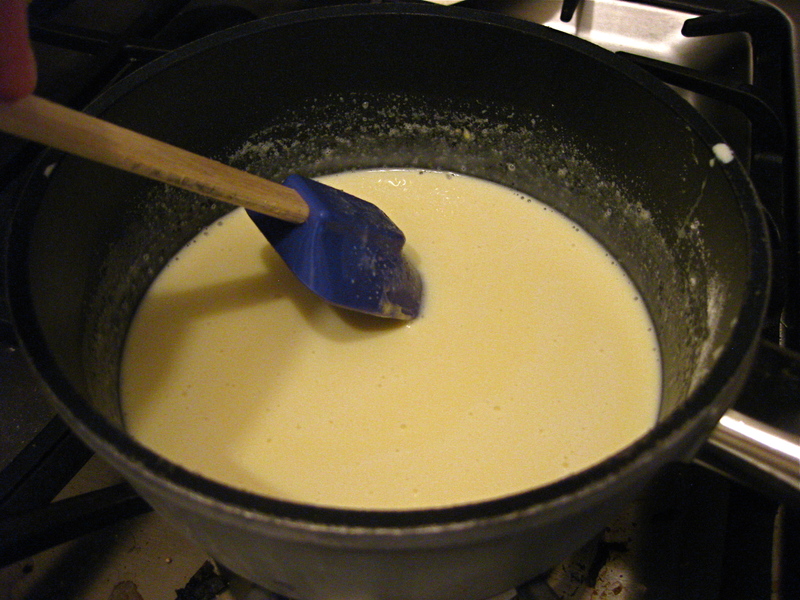 Bring the milk and cream to a simmer and then slowly add to the egg mixture. Return the whole mixture to the pan and cook over low heat with a wooden spoon until it thickens, about 5-7 minutes. Switch to a whisk when it starts to get thicker. Cook for another couple of minutes until it is the consistency of pudding. Stir in the vanilla, bourbon, and butter, and then strain through a sieve. Chill in a bowl with plastic wrap directly on the surface of the cream. Roll out the dough on a floured surface to about 1/4 inch thickness. Keep rotating the dough as you roll it out so that it doesn’t stick to the surface. Put into the tart pan making sure not to stretch the dough because it will shrink. (Mine did anyway) Cut off the excess and patch any holes carefully. Line the tart shell with a buttered piece of aluminum foil and fill with baking beans (beans reserved just to use for blind baking). Place tart shell on a baking sheet and bake for 10 minutes, then remove the beans and dock the bottom of the tart (prick with a fork so that it doesn’t create steam bubbles). Bake for another 15-20 minutes, until the shell is lightly browned. Let cool. Spread a layer of chilled pastry cream on the chilled tart shell. 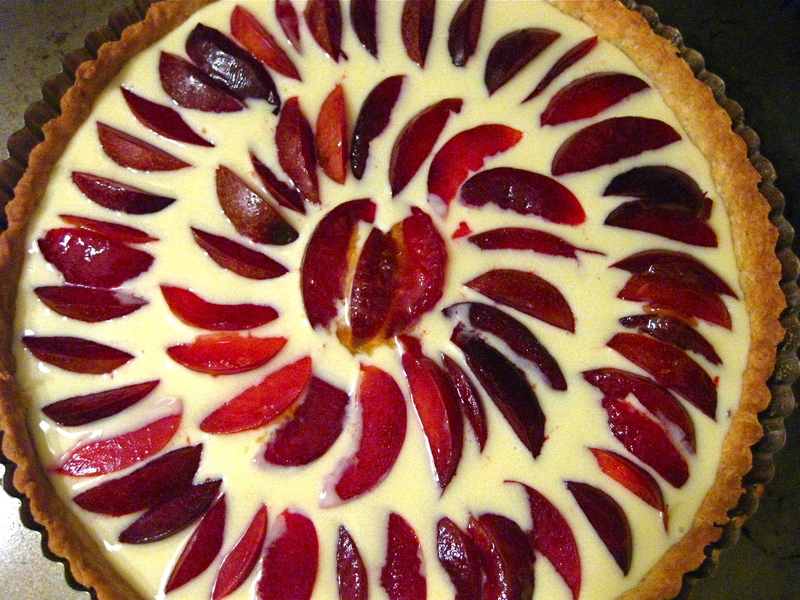 Arrange the slices of plum around the tart. Combine the jam and hot water to create a glaze and brush over the tart so that it doesn’t dry out.